This Saturday Night, the Park Jefferson Speedway will bring 410 sprint cars to the track for the first time since 2015 as the track hosts its Nationals Hangover event presented by Woods Roofing. With fans and drivers suffering the withdrawal from the racing of the historic Knoxville Nationals, Park Jefferson will give drivers a chance to race for a large purse of $25,000, including $5,000 to win. “We are excited to bring the 410 sprint cars back into South Dakota. This is only the second race this year for 410’s in the state of South Dakota and we are excited to see who might show up for the $5,000 top prize” stated track owner Adam Adamson. Adamson expressed his admiration for the Tony Stewart owned All Star Circuit of Champions, and has patterned the event after the All Stars format and purse. “I think it is a really fair format, having time trials against other drivers in their heat. I figured we were going to follow their format, we may as well use their purse of $5,000 to win and $500 to start. Even though the All Stars don’t come this far west, if gives our local South Dakota, Iowa and Minnesota drivers a chance to race under the same type of conditions for some great money” said Adamson. 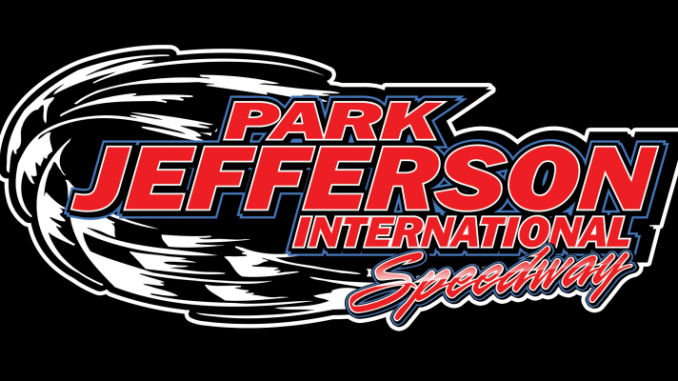 In addition, Park Jefferson will also host the season championship of the IMCA RACESaver Sprint Cars paying $700 to win and $150 to start the feature, and the Artworks Graphics IMCA Modifieds will be running for an IMCA state, regional and national point event also paying $700 to win and $150 to start. Both races are Road to the Iron Cup qualifying events and will run with a draw/redraw format. Title sponsor of the event Woods Roofing. They offer a complete range of roofing and gutter services to customers in Sioux Falls, eastern South Dakota and Northwest Iowa. No job is too big or small. Their highly-skilled professionals have been hand picked from among the best in the industry. For a free quote go to www.jimwoodsroofing.com or call 605-764-9517. Gates open at 4pm on Saturday afternoon. Engine heat is slated for 6pm, with hot laps at 6:30 and time trials slated for 6:45 and racing to follow. Adult tickets are $18, Seniors 70+ are $10 and children 6-16 are $5 and under 6 are free. For more information go to www.parkjeff.com or call 712-202-5540.